Welcome! This guide aims to help anyone who wants to start a local Write the Docs meetup or a regional conference. Our community is growing quickly and we want to provide resources, guidelines, and tips on how to build and maintain events no matter where you are in the world. All the content in this guide and in the resources repository is open source, and we welcome contributions and suggestions! Feel free to communicate and share ideas with your fellow documentarians on Slack or by creating issues and pull requests in the GitHub repository. There are a number of topics that aren’t written yet. That means that you can write them! Please submit your thoughts and ideas, and you can contribute to making this guide better. You should also look at the Team page to see more information about who is currently filling these roles. 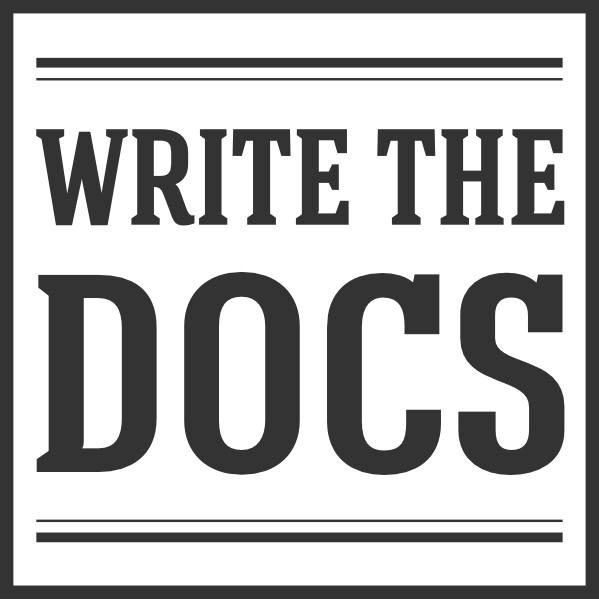 If you’re interested in helping start or organize a Write the Docs conference, send us email at support@writethedocs.org. Information about the global Write the Docs Meetups. Can Write the Docs cover the Meetup.com fees? Can a company sponsor a local meetup? Anything else I get for organizing a meetup? The nitty-gritty about creating our hand-crafted newsletter. Information about our regional Write the Docs conferences. I want to run a Write the Docs conference, now what? How to write a CFP? What is the Welcome Wagon? Who Runs the Welcome Wagon? What do I need to do before the conference? What do I need to do during the conference? This guide draws much inspiration from the Django Girls Organizer’s Guide.